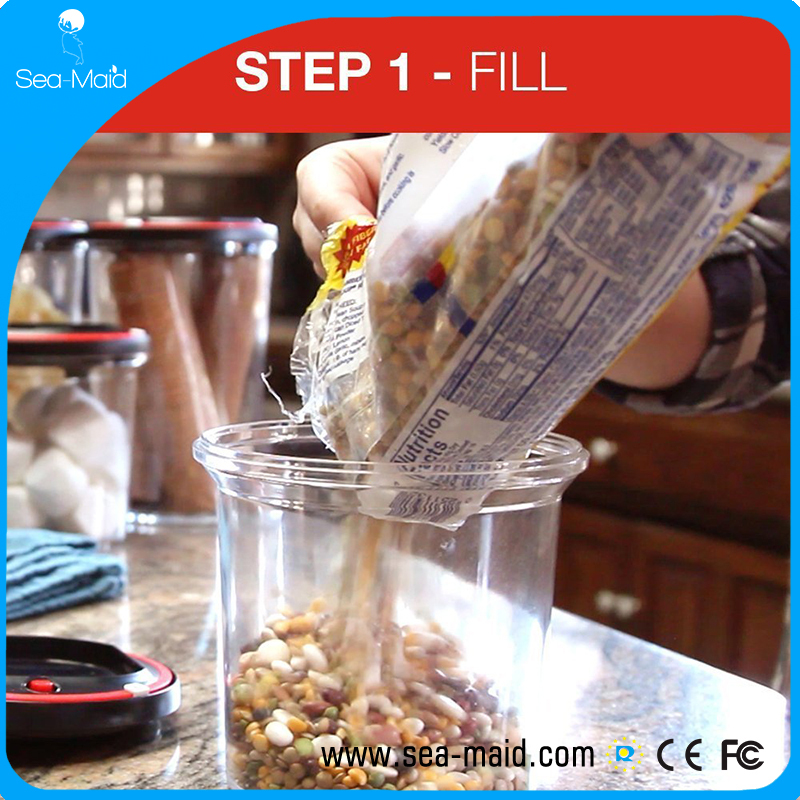 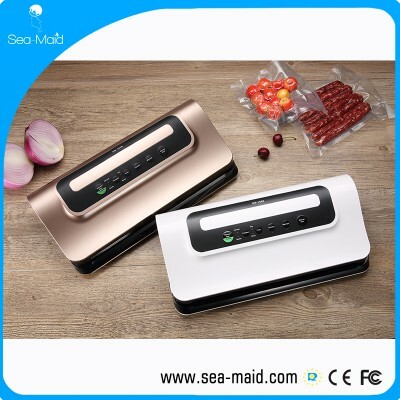 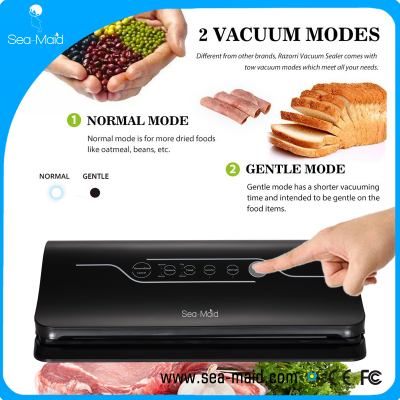 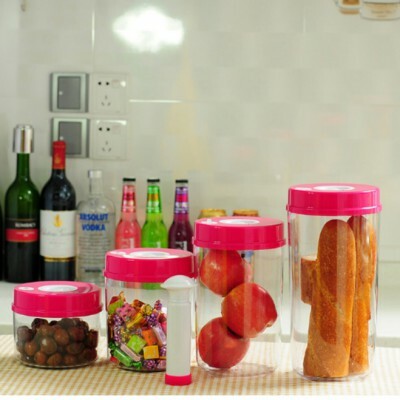 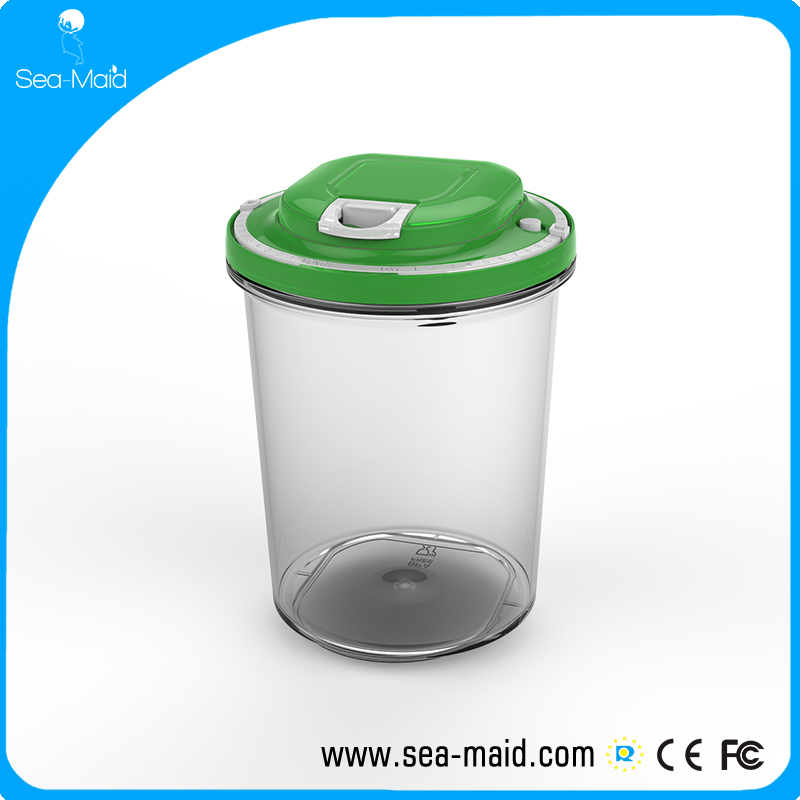 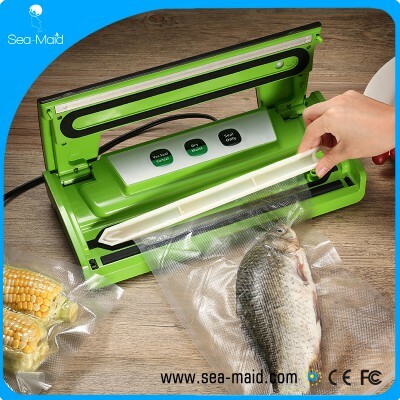 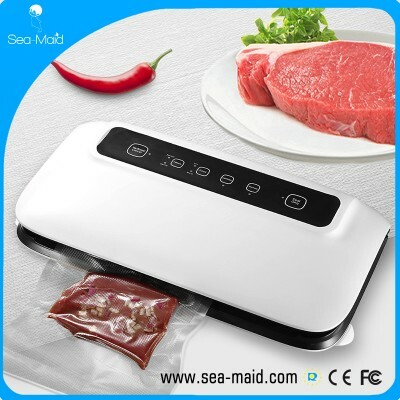 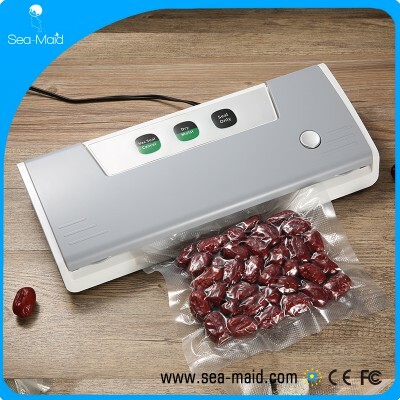 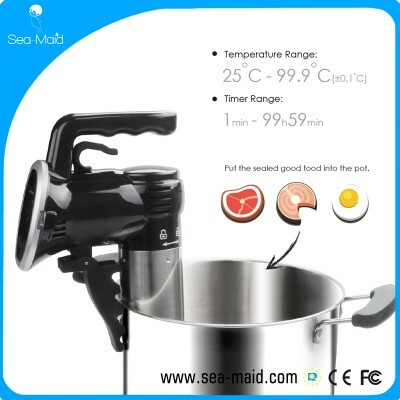 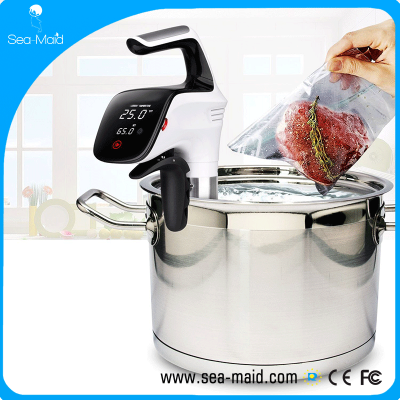 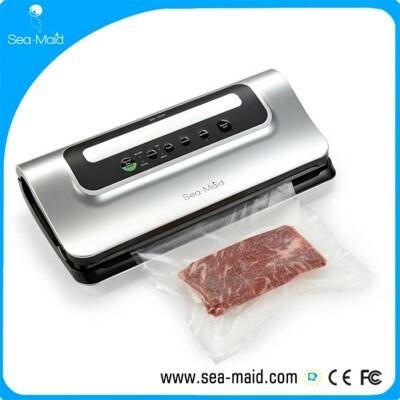 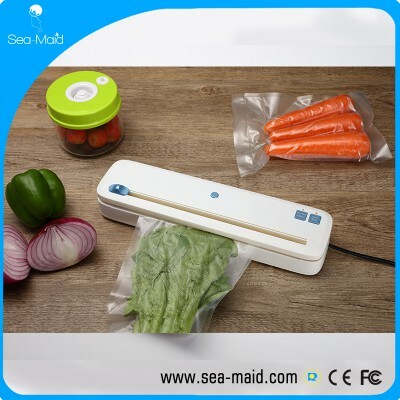 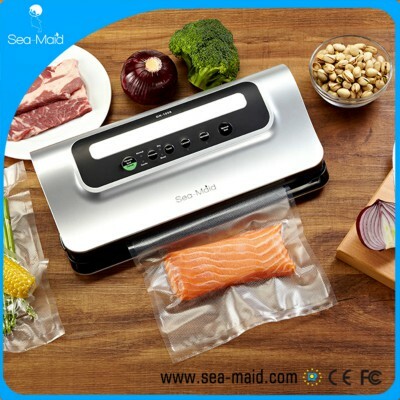 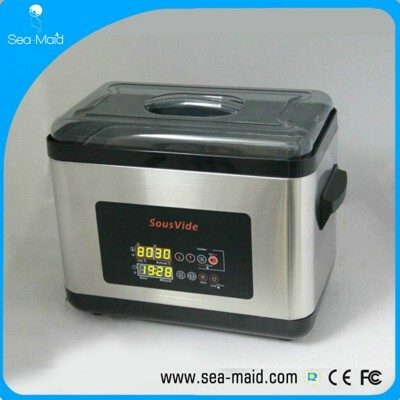 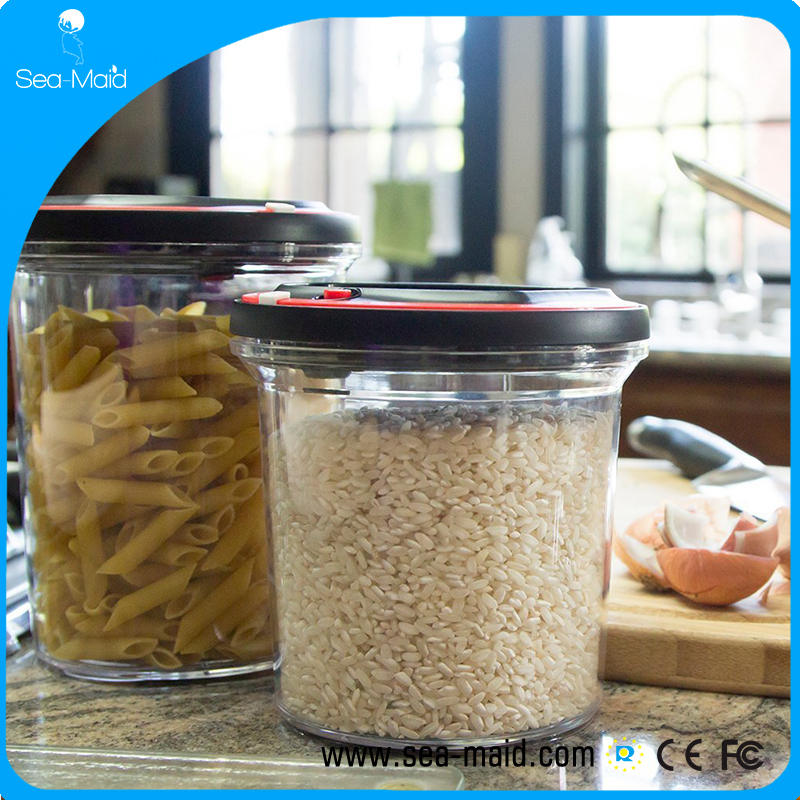 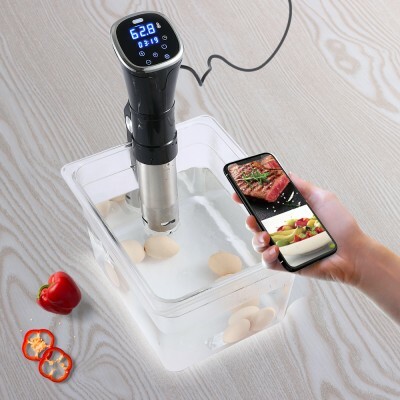 Sea-maid Automatic Vacuum Seal Container (1L,1.5L, 2L , Clear) - Wholesaler From Co., Ltd.
Sea-maid ’s line of vacuum sealable containers are specially designed to extend the length of time stored food stays fresh. 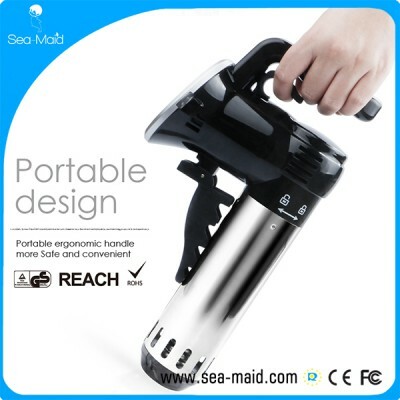 The patented, removable Sea-maid -Vac motor offers versatility and piece of mind. 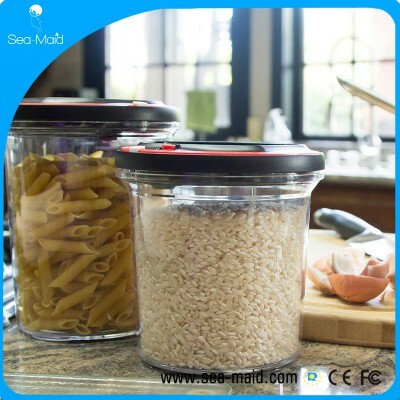 Sea-maid’s food storage containers are made of clear and hard polystyrene, ensuring a high quality and scratch resistant finish. 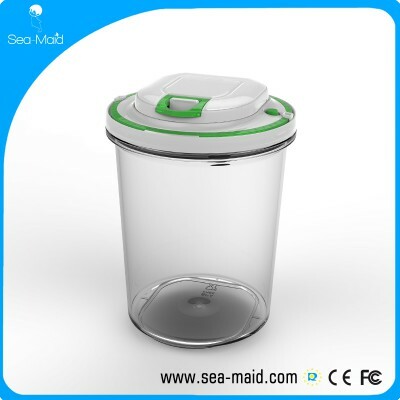 The Sea-maid Vac can be removed and used to seal multiple Sea-maid storage container lids without having to purchase additional Sea-maid Vacs. 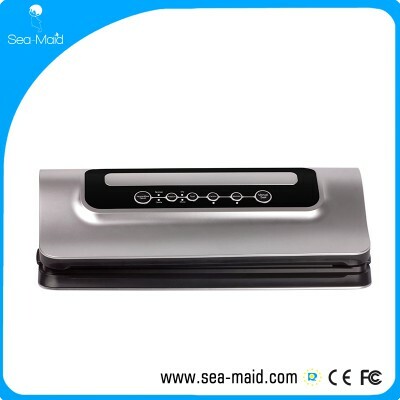 Once the container is pressurized, the Sea-maid Vac will automatically deactivate. 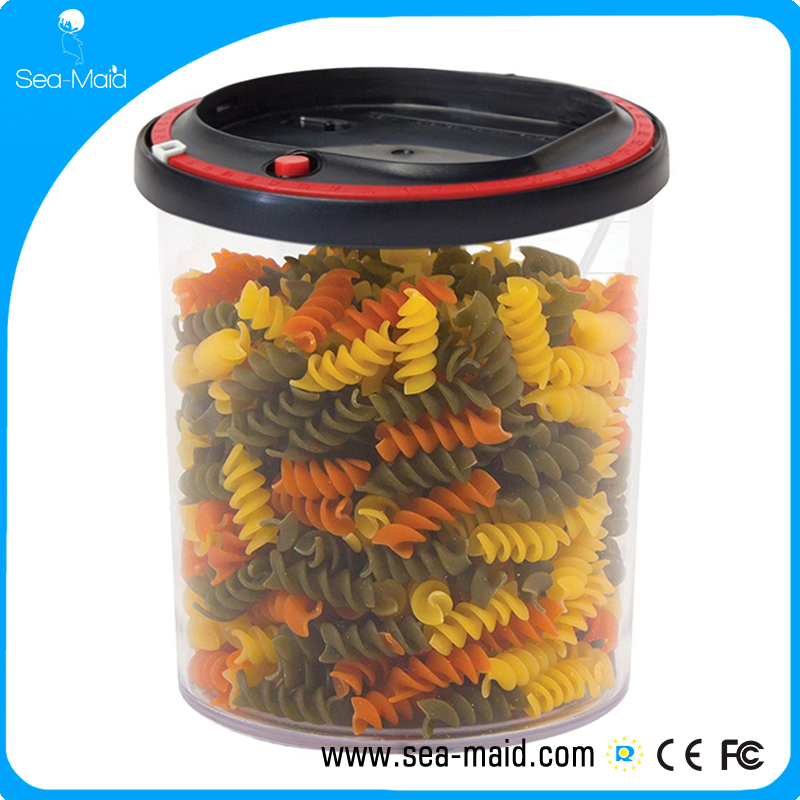 Sea-maid Chef lids are equipped with a date dial so there’s never a question of when food was sealed. 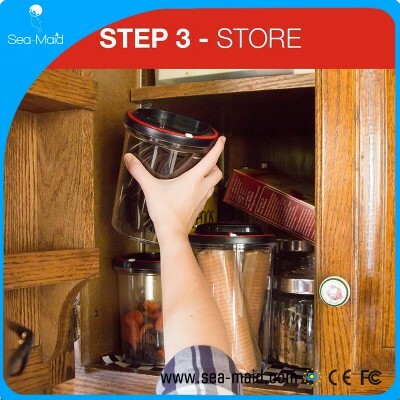 The built-in air pressure indicator rises and falls to represent internal air pressure. The Sea-maid system of vacuum sealed containers offers an easy and effective way to store your dry foods longer while maintaining their peak freshness. The stylish design of Sea-maid’s containers makes it an essential component of the modern kitchen.